Our speaker this month is Andrew Cameron, PhD. He will be speaking on “The Genes that Make an Orchid". He will explore how a basic set of genes tells flowers their fate, and how this knowledge Is elaborated in the exotic flowers of orchids. Horticulturists breed plants, to make new and interesting hybrids all the time. This is a practice as old as the domestication of plants. Indeed plant breeding was used to illustrate the principles of genetics by Gregor Mendel in the 1860's. Andrew Cameron is a semi-retired member of the research faculty at the California Institute of Technology. He studies how the genomes of marine creatures like sea urchins and sea stars dictate the form of these animals. He is a past president of the San Gabriel Valley Branch of the Cymbidium Society of America, current Vice President of the CSA International, an Accredited CSA Judge, the new editor of the “CSA Cymbidium Journal” and he writes the Duffer’s Corner column for the CSA Journal Online. ... on that Wednesday night, when you pull up at the Park Admssion Booth, Tell them you are here for the "Golden Gate Orchid Meeting tonight in the Garden Center Building", and they will let you pass without paying a parking fee. ... Please bring enough to share with 5-10 of our fellow members. We'll have coffee and tea there as well ! Remember, bring a dessert, Get a FREE RAFFLE TICKET to possibly Win a FREE ORCHID (however, make Sure you get it from Ed Mc Lean BEFORE the Drawing begins) ! ... MAY 22TH, the 4th Wednesday, for our Summer Auction. CSA JUDGING is available before the general meeting in the large kitchen at between 6:30 - 7 pm. E-mail CSA Head Clerk Sylvia Darr at syldarr@gmail.com, or call her at (510) 769-1613-﻿, at least 48 hours in advance, so judges can be assembled. Notice must be given 2 days in advance. CSA MEMBERSHIP It is recommended that all members join our parent club. The CSA provides insurance for all our meetings and activities. 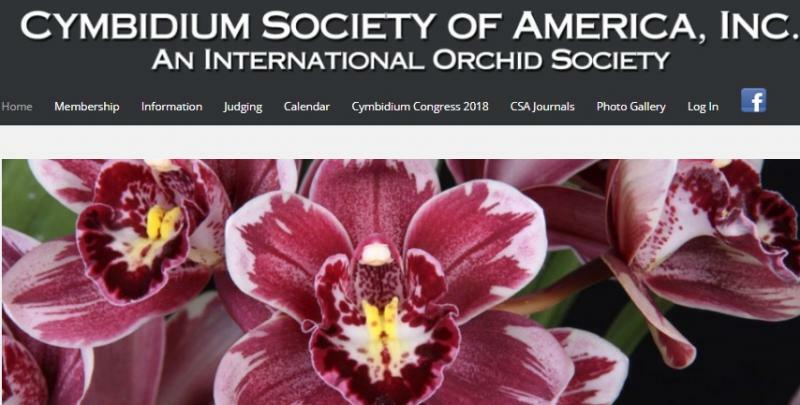 Please visit their website at www.cymbidium.org or contact our CSA Representative Florence Inserto, flojoinsert@yahoo.com. Annual dues are $35 per year and include a subscription to the CSA JOURNAL and are eligible for certain CSA awards. Dues may be paid at the meeting. The club NO longer charges fees!! I﻿ndividual Member Sellers are welcome to bring their own plants to Sell. Hey, you can save time, by inviting your regular buyers to meet you at our meeting 30 minutes early. They pick up their plants from you here, stay and enjoy an orchid presentation, and have some snackies. Plant sales go from 6:30 pm to 7:25 pm. All sales will stop prior to the meeting.